These pumps have a very broad flow pattern. Im running them in a Red Sea Max 250 litre tank. The controller is very easy to navigate. I would like to see a little stronger flow but otherwise they are doing a good job. die Pumpen sind leise und haben ein sehr breites Strömungsbild, allerdings wenig Druck nach vorne. Die Magnethalter sind okay, könnten aber stärker sein. Versand nach Deutschland schnell und umkompliziert. très bonne pompe ! silencieuse ! brassage doux pour les coraux et le petit plus pouvoir brancher sur une batterie . It’s compact and easy to program. The only downside I find the magnet is not very strong for 12mm thick glass as it rotates slightly during the initial setup. une pompe vraiment intéressante ! discrète, flux tout en douceur pour les coraux et en plus silencieuse ! je recommande cette pompe et je vais en commander une autre dès que possible . Amazing Pump. Great value for the money. It is very simple to be programmed and it is a very powerful pump. 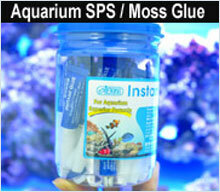 The RN-1 is great for SPS corals but I it is not disturbing LPS too. It is just a matter to find the right position in the tank and the adequate flow speed. Very easy to handle and to clean, once I have started to use the programmed sequence I cannot come back to a different pump. The revers flow mode is great to have a kind of “storm” mode in the tank (very useful for avoiding sediments). Now I got the second one and I’m starting to use it in master and slave mode. Let see them on the long distance but up to now, great value for the money!.